The Student Ministry of Lone Oak FBC exists to see students Love God, Serve Others, Reach the Lost, Live in Community, and Grow in Faith. 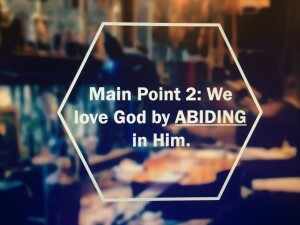 We Love God by abiding in Him. We Serve Others by combining our burdens + passions + vision = mission. We Reach the Lost by proclaiming the Gospel. We Live in Community by connecting with other believers. We Grow in our Faith by developing spiritual disciplines. Last week Resonate started a Purpose series walking through each of these five purposes as a ministry starting with Loving God. 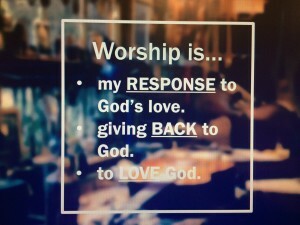 Loving God is how we express Worship. God created you with a purpose. God also created you because He loves you. Being created in His image means He created you to worship. Matthew 22:37-38 tells us that loving God is our first and greatest command. Romans 12:1 tells us that worship is our response to God. 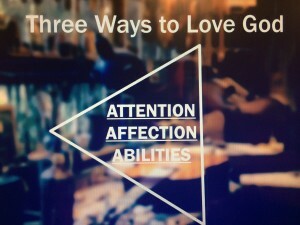 Mark 12:30 gives us three ways we can love God. John 15:5 shows us how to do it. 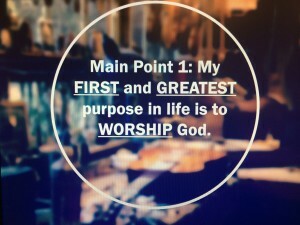 Ultimately our worship is all about God. 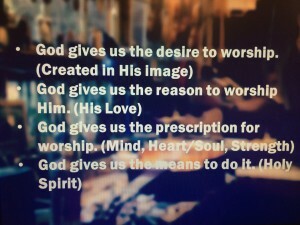 He created us to worship. He gives us the desire, the reason, the prescription, and the means to worship Him. This week we will be digging into another one of our purposes as a ministry, to Grow in Faith. We Grow in Faith by developing spiritual disciplines. Come Wednesday night at 6:00 pm to find out more.